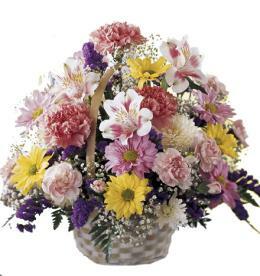 The Birthday Cheer Bouquet celebrates with its bright, beautiful blooms wishing your special recipient best wishes on their big day! 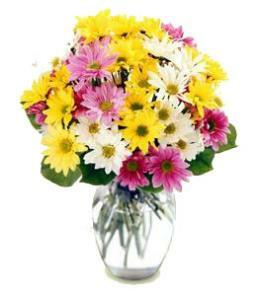 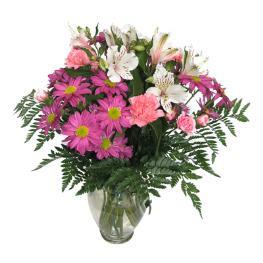 Coral or pink roses, yellow spray roses, pink gerbera daisies, white traditional daisies, solidago and lush greens are perfectly arranged in a classic clear glass vase tied with pink satin and green chenille ribbons. 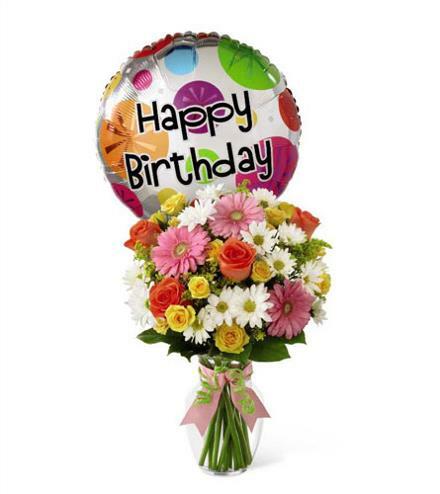 Arriving with a mylar balloon exclaiming, "Happy Birthday", this bouquet will add to the warmth and happiness of their birthday festivities. 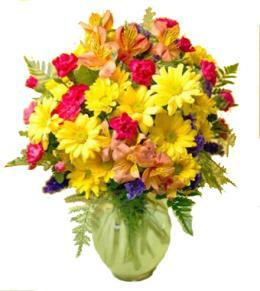 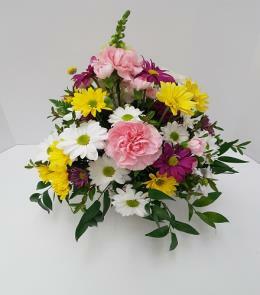 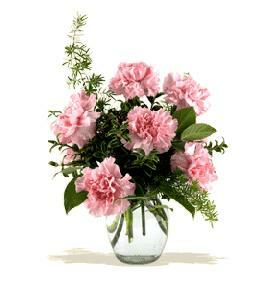 Birthday Flowers Best Sellers - Birthday Cheer Vase Balloon Bouquet.